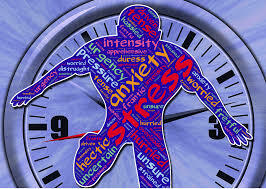 My leadership clients, including those in nonprofit, often ask for advice regarding stress, expressing concerns about frustration, exhaustion or burnout. I have often seen executives “self-medicate,” binging on alcohol and comfort foods or engaging in risky behaviors. Even when leaders are “keeping it together,” their teams may feel a sense of impending crisis. The truth about stress, however, is this: It is bad for us if — and only if — we are bad at managing stress. A breakthrough concept concerning stress is captured in the term “antifragile,” coined by the philosopher Nassim Taleb. When something is fragile, it breaks under stress. Think of a delicate vase. Something resilient remains stable under stress. Think of a spring that recoils. But antifragile systems are better, actually improving under stress. Think of healthy bones that become stronger and more flexible through stressful exercise. Leaders must learn to be antifragile, to strengthen under stress. Easy to say, much harder to do. How do we develop an antifragile stress response? Follow these steps. Look deep within your stress to discover the underlying source of creative tension. Creative tension arises from the challenging gap between our creative vision of our lives and our experience of current reality. Ambitious leaders constantly encounter this tension. Picture a nonprofit leader who aspires to solve a serious social problem. The leader works to land a large contract that will move the project forward. Unexpectedly, the effort fails and it’s back to the drawing board. This attempt-and-fail narrative is very common in ambitious work and, yes, it produces significant stress. Stress comes from the recognition that the world is not as we want and that our control over the future is tenuous. In fact, every problem we experience can be reframed in terms of creative tension by identifying what we want (e.g. love, health, financial stability, functional tools) and how current reality is interfering with our desires. To achieve stress-success, we must be able to identify the specific nature of our underlying creative tension. What exactly do we want to create? And how specifically does reality fall short of our expectations? Have you ever wondered why something seemingly trivial bothers you so much? Our stress response is often displaced, causing us to overreact to minor setbacks because something major is not as we desire. Practicing the discernment of creative tension allows us to gain insight into the underlying source of our stress. Surfacing the creative tension beneath our stress allows us to discover its true source. Becoming a stress Jedi requires us to convert harmful emotional energy into constructive power. Creative tension often produces disabling feelings like anger, bitterness, frustration or hopelessness. These feelings arise when we see ourselves moving away from what we desire. But creative tension can also produce exhilarating feelings like hope, enthusiasm, anticipation, joy and love when we move toward our desires. We can unlock our antifragile stress response through practice. We must believe that we always have the power to move toward our desires. Our response to stress lies between our ears and in our hearts, and we can master it. It is the pursuit of our deepest visions and desires, not their satisfaction, that gives us our greatest sense of pleasure and meaning. When we are able to respond with constructive emotional energy to the creative tension in our lives, we are always moving toward our vision. Of course, we may not achieve our dreams. If success were assured, our endeavors would lack meaning. Consider wisdom from some of the most wonderful antifragile personalities. As Helen Keller beautifully put it, “Life is either a daring adventure or nothing at all.” Antifragility is getting back up after you fail. When dark emotions surface, take a deep breath, focus on what you want to create, and use your constructive power. Within stress, discover your own creative tension. In the face of struggle and defeat, practice transforming your emotional energy. Convert anger and frustration into hope, commitment and exhilaration. Every setback is another opportunity to practice. And soon, you will seek more stress. Why? Because stress can be healthy and give us adventure and meaning. Remember, when we experience stress, we are doing something that really matters to us. Once we master it, the worst thing about our stress may be not having enough.